Looking for a complete holiday package? 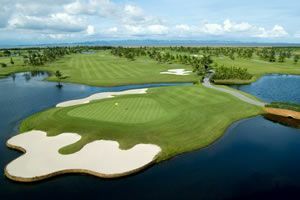 Visit our Thailand Golf Vacation ideas. Most of the courses are designed with many water features and strategically positioned bunkers, ensuring the golfer has to apply good course management in order to score well. Destination diversity and the vast choice of golf courses located throughout the country are key factors attracting the large numbers of visitors coming to play golf in Thailand. From the beach resorts in the south, to the mountainous surroundings in the North, or the bustling cities of Bangkok and Pattaya, there are golf courses to suit every preference. All are located in highly accessible areas with fast and convenient door-to-door transfers possible within several hours’ travel time. This provides visitors with a vast choice for planning a golf holiday. 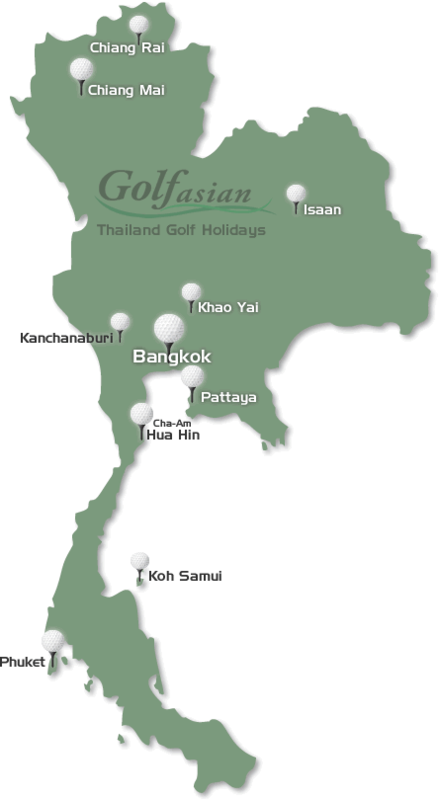 Start by selecting a golf course destination from the Thailand Golf Course Map on the left. Depending on your requirements, there are a number of choices where you can base yourself for a unique custom golf vacation. Golfasian will be happy to recommend and create a custom golf vacation for individuals or groups at any of our featured destinations. 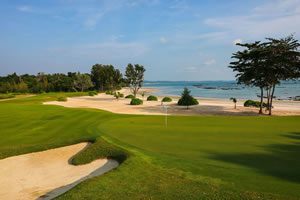 However you wish to adapt one of our packaged Thailand golf vacations, we can obligingly accommodate.